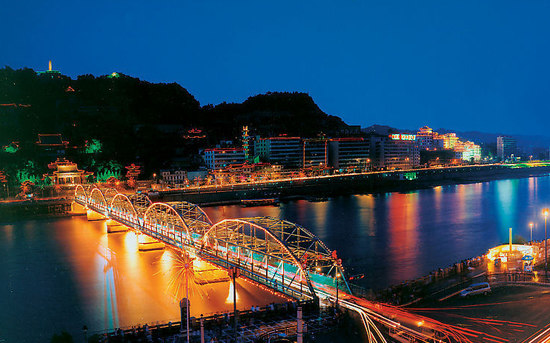 Lanzhou, being a commercial center on the ancient Silk Road, is dubbed the “Tea-Trade House City” and is also regarded as an important traffic center along the Eurasia Bridge. With the reform and opening-up policy implemented, Lanzhou has developed friendly cooperative relations and has been twinned with 19 international sister cities, such as Albuquerque, Akita, Christchurch and Nouakchott. Being one of China’s 32 national logistics centers, Lanzhou has witnessed the improvement of a multi-layered and normalized market system, the enhancement of its service sector and the structural formation of a large market with extensive commerce and a vast circulation. Over the past few years, the Lanzhou Investment and Trade Fair has become a celebrated international and large-scale exposition platform to attract investment and facilitate cooperation, as well as a window opening up the city to the outside world. According to the official figures in 2012, there are 774 import and export enterprises and 151 foreign-investment enterprises based in Lanzhou. Over 800 kinds of commodities export to more than 127 countries and regions.